Can't decide what to get that hard to buy for family member or the friend who has everything? You can't go wrong with a TOPS Gift Card. Available year round at the checkout counter or Customer Service Center, TOPS Gift Cards can be used towards groceries at any TOPS store, TOPS Pharmacy, and gasoline at any TOPS fuel station. It's the gift that anyone can use and everyone will love! 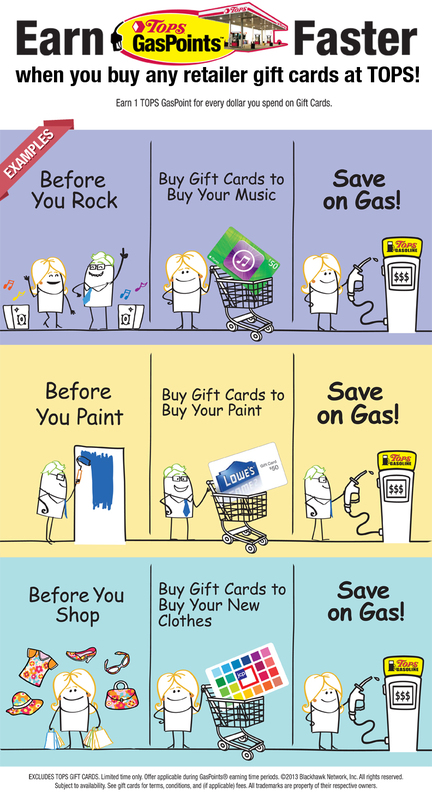 Click here to view other gift card choices.